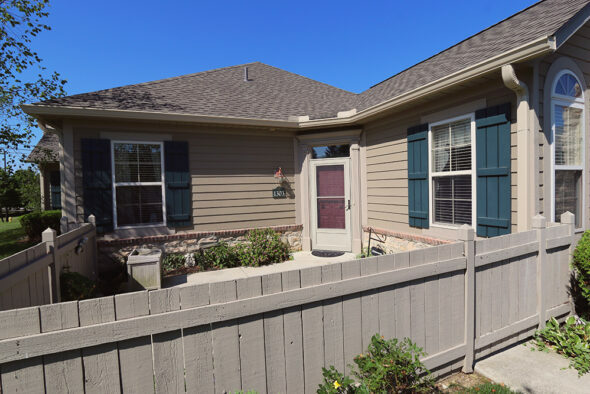 Home » Grove City Bright, Clean, & Spacious Condo! Grove City Bright, Clean, & Spacious Condo! Bright, clean, spacious welcomes you in this well thought out condo. End unit with views of greenery and a private patio. Large kitchen with tons of counter space and cabinetry and 2 (!) pantries. 2 large bedrooms, one with en suite. New flooring and neutral paint throughout the condo. Two car garage offering storage above. Lovely association with a wide range of events happening almost daily. Clubhouse with a pool complete the picture.